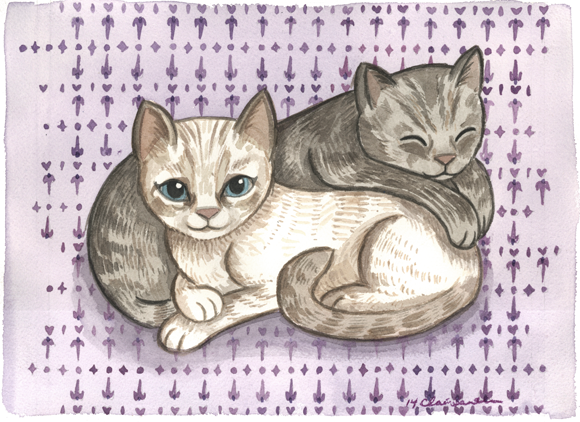 My friends Angela is having an art show for her birthday and she asked me contribute something, so I painted her two adorable kitties, Dolly and Blue. When I get more info about the show I'll update this, but I'm assuming it will be in Oakland somewhere. UPDATE: The art show is at MOCO 372 17th St, Oakland, CA 94612 and it should be up for the month of September.